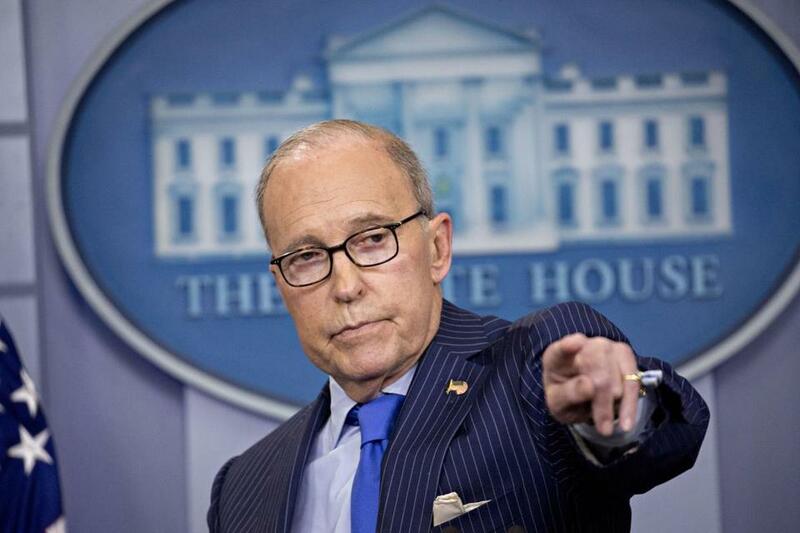 Larry Kudlow, President Trump’s top economic adviser. IF EVER ANYONE needed further proof that supply-side-ism is more theology than economics, and that the truth is not the Trump White House’s specialty, he or she need only consider the recent pronouncement of Larry Kudlow, President Donald Trump’s director of the National Economics Council. To wit: The Trump tax cuts are paying for themselves. Sorry, Larry, but the fiscal facts say otherwise. Enter, like a wrecking ball, the Great Recession. Last week, as one of Trump’s top economic advisers, he went further. “The deficit . . . is coming down, and it’s coming down rapidly,” he averred on the Fox Business Network. Actually, just the opposite. Through May, the deficit is running about $100 billion higher this year than last. According to the latest analysis by the nonpartisan Congressional Budget Office, the national debt will rise to 78 percent of GDP by year’s end and 96 percent by 2028. Yearly deficits will average $1.2 trillion, with total new federal debt accumulation of $12.4 trillion from 2019 through 2028. Even assuming the individual tax cuts expire on schedule at the end of 2025, the Trump cut will be responsible for about $2 trillion of the decade’s total debt accumulation. In the interview in which he wrongly claimed the Trump tax cuts were paying for themselves, Kudlow offered this proud coda: “This is old-fashioned supply-side economics.” When it comes to his false claim about the tax cuts, truer words were never spoken.